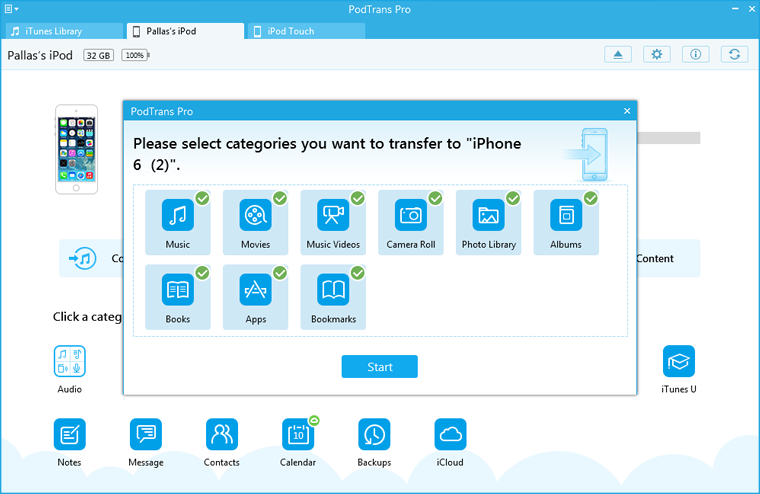 Step 1: Boosting PodTrans Pro on your computer and plug at least two devices to the computer. 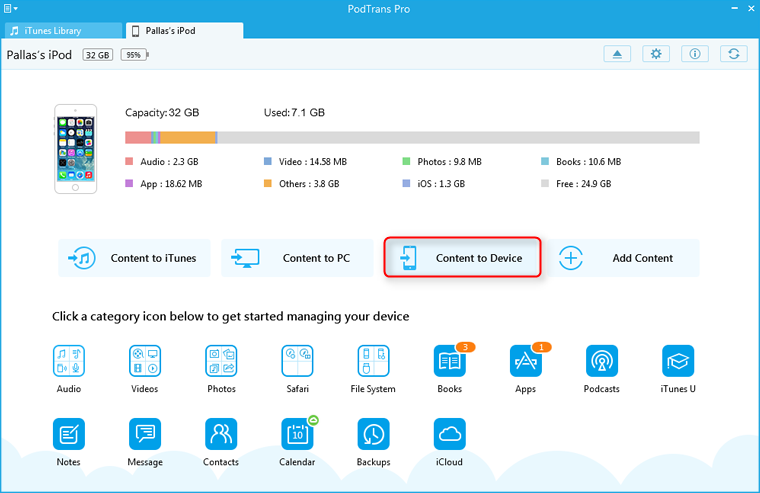 Then, choose the icon" Content to Device". Step 2: Select the specific items you wanted. Later, tap the "Start" button to start sync them.